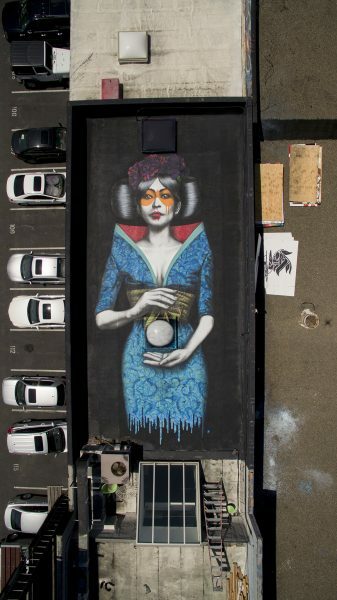 The Irish street artist FinDac created a new mural, called Shukumei, high above the streets of San Fransisco. 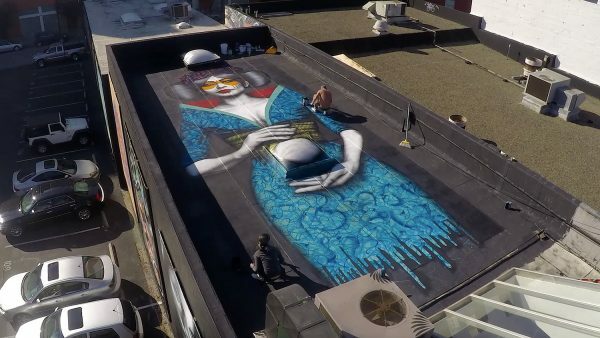 His latest work of art is an addition to his `HiddenBeauty` series painted on a rooftop over a period of five days – regardless of the weather conditions. It is another stunning painting of a beautiful Asian woman, wearing a beautiful blue dress with a red collar and a violet floral arrangement in her hair. 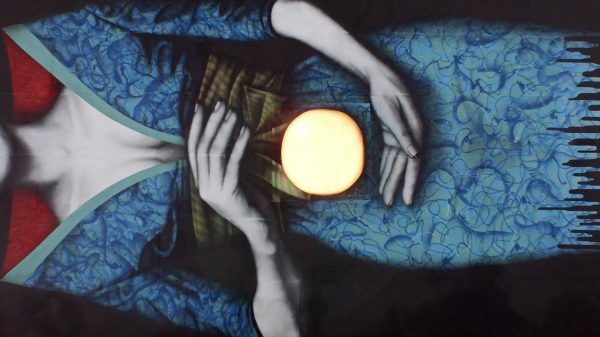 She is painted around a rooftop skylight, which kind of dictated the eventual design – meaning that it looks like she is holding the light between her hands. 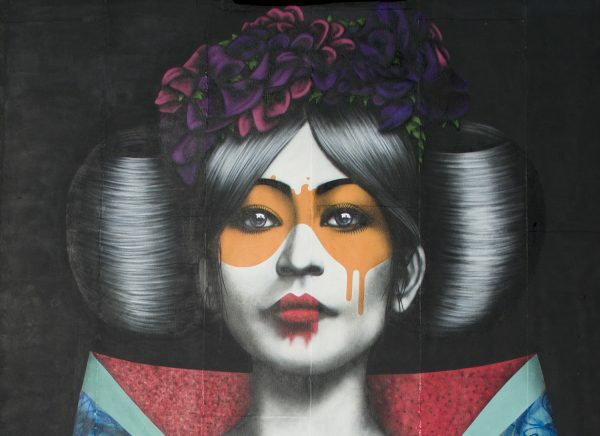 If you want to know where to find the mural, you might have to search for it because FinDac won´t tell us where it is located but it is worth trying! 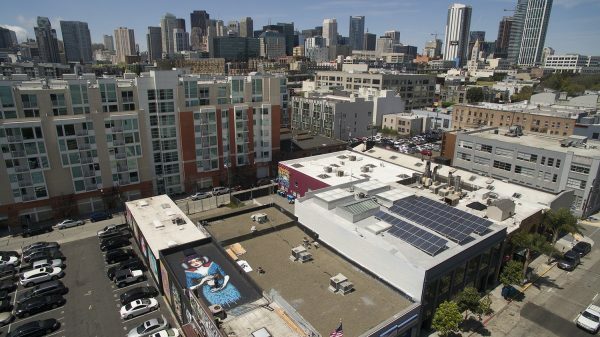 For more information check out the making of video below! 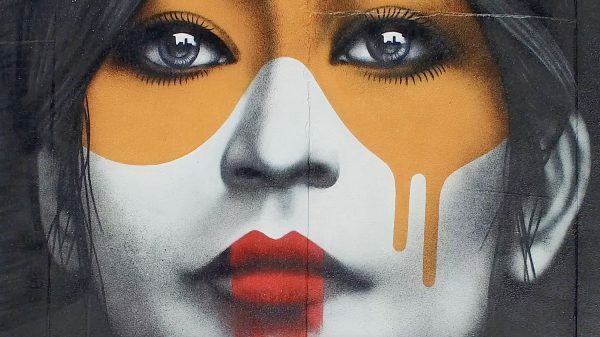 Veröffentlicht in Graffiti, Murals, Paintings, Projects, street art, urban artGetaggt mit duesseldorf, FinDAC, murals, outdoor, pretty portal, rooftop, san francisco, spraypaint, streetart, urban artBookmark the permalink.